You can rename pencil textures from the Colour view or from the Pencil Properties dialog box. 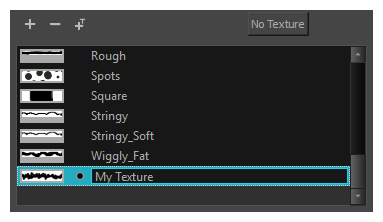 In the swatch list, double-click on the name of the texture you wish to rename. Enter the texture's name, then click outside of the text input field to confirm the new name. 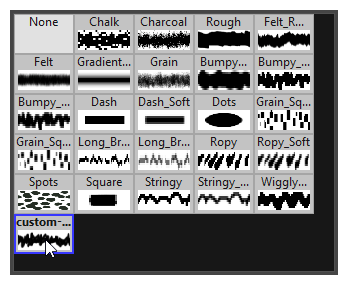 In the pencil texture library, select the texture you wish to rename. 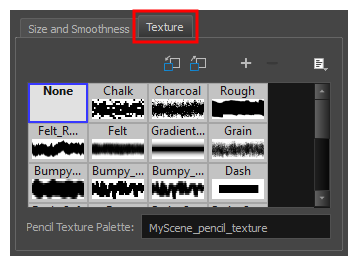 Open the Brush menu and select Rename Texture. The Rename Texture dialog box opens.